UBIO's Robotic Transaction Automation can automate any online process. We power direct transactions for insurance, loans, switching, flight and travel booking on behalf of your customers, saving them time, reducing friction and increasing conversion. 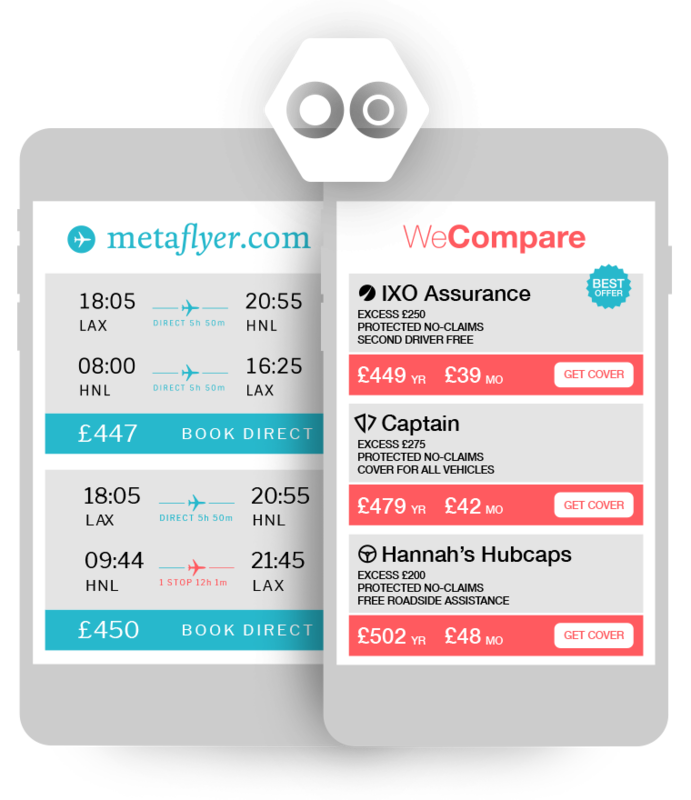 UBIO's Robotic Transaction Automation (RTA) enables direct transactions for price comparison and metasearch. We do this with our Automation Cloud technology which can interact securely with any supplier website. We provide a simple API for booking any financial or travel product on a supplier website. In the current model customers are passed off to the supplier to buy. This means customers often drop off – a particular problem on mobile. Our automation technology allows you to control the end-to-end customer experience. Your customers remain on your site or app for the full transaction, including payment. You build an experience for buying as smart as you already do for comparison and search – even on mobile. This keeps customers on your site, increasing your brand equity and customer loyalty. Of course, RTA adds up to much better conversion. Offering your customers an integrated, end-to-end transaction experience leads to less buying and payment friction and greater conversion rates. Our platform can transact on pretty much any target website. This means any online task designed for human beings to perform is now in the realm of at-scale, machine-driven automation. Our workers perform chores so your customers don’t have to, and stay on your site or app. The UBIO automation cloud delivers enterprise grade web automation. We let your customers buy their insurance, loans, mortgages, broadband and more where they compare – directly on your app or site. We automate the transaction on the underlying supplier so you get a consistent transactional API. Customers are more likely to buy where they compare.